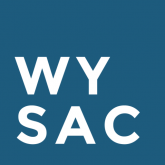 The Survey Research Center was established as a unit of the University of Wyoming in 1989, and joined with the Statistical Analysis Center to form the Wyoming Survey & Analysis Center in 2004. Researchers collect, manage, analyze, and report data to inform planning and funding decisions. The Survey Research Center operates an in-house call center, equipped with staff, technology and software to conduct computer-assisted telephone interview surveys. Our telephone surveys reach respondents on both cellular and landline telephones, and can be targeted to geographies and/or populations of interest. We have specially designated areas for our equipment for handling large scale mail surveys, which include two high-speed Panasonic scanners for processing the returns, folding machine for professional presentation of folded documents, an envelope sealer, an envelope opener, as well as an envelope printer for direct database addressing of envelopes to help with error reduction, all of which contribute to increased efficiency of managing high-volume mail surveys. We use Cardiff Teleform software for creating presentable scannable paper surveys. For secure, efficient, and cost-effective online surveys, the Survey Research Center uses a state of the art, web-based, scientifically rigorous, survey software. As dictated by the specifics of the project and target population, we conduct mixed mode surveys to increase efficiencies, response rates, and better representativeness of the sample of respondents. Upon our clients’ request we can weight survey data, conduct statistical analysis of the collected data, and create technical reports and PowerPoint presentation of the results. WYSAC is a charter member of the Association of Academic Survey Research Organizations, and fully subscribes to the Code of Ethics of the American Association for Public Opinion Research. Confidentiality, accuracy and scientific rigor are always top priority for all projects.